If you get hurt on the job, don’t count on your employer or the workers’ compensation system to treat you fairly. In order to receive the benefits that you deserve and your family needs to get by during your recovery, you need an experienced workers’ comp lawyer on your side. Johnson & Biscone, P.A. has built a sterling reputation in workers’ compensation claims. Take full advantage of our experience by calling 405-232-6490 for a free consultation. Our work injury attorneys serve Oklahoma City, Edmond, Norman, and all of Oklahoma. The workers’ compensation system is designed to aid workers who get hurt or fall ill while working within the scope of their employment. It is a type of insurance held by employers to compensate employees when they suffer work-related injuries. The Oklahoma Workers’ Compensation Commission (OWCC) presides over benefits for injured workers. Unlike personal injury cases, worker’s comp is a no-fault system; neither you nor your employer is liable for the injuries you sustain. In spite of this, employers often try to shirk responsibility, and OWCC does deny or underpay valid claims. By law, all employers in Oklahoma are required to carry workers’ compensation insurance coverage. But, even though employer coverage is mandatory in Oklahoma, make no mistake: Applying for benefits is not an easy process. To get the full benefits you deserve, you need an experienced work comp lawyer in your corner. Medical treatment: Employers are required to provide “reasonable and necessary medical treatment” through their workers compensation insurance carrier. Temporary partial disability (TPD): Replaces the difference in wages between what a worker earns for his or her regular job while on restrictions and what the worker would be receiving if they were TTD. Temporary total disability (TTD): Covers a portion of wages for workers who are completely unable to work, at the direction of an approved treating physician, while recovering from an injury. Benefits are time-limited for injuries such as hernias and soft tissue damage. Permanent partial disability (PPD): Compensates a worker for the permanent disability they have sustained,because of their on-the-job injury, at the end of a case. Permanent total disability (PTD): Compensates workers who are unable to work at all as a result of on-the-job injury. Vocational rehabilitation: Workers who quality for PPD benefits may be eligible for vocational training to place them back into the workforce. Continuing medical maintenance (CMM): Workers who are permanently partially disabled may qualify for ongoing compensation, at the recommendation of their doctor. In the event that a worker dies on the job, spouses and dependent children may be eligible for death benefits through workers’ compensation. A surviving spouse can receive 70% of the loved one’s weekly wage and $100,000 lump sum. Surviving spouses and children are eligible for a lump-sum $25,000 payment, and each child is eligible for 15% of the weekly wage (or state average wage, if it’s lower). Increases in payment and proportionality apply when there are more than 2 surviving children. Preserving the integrity of your claim begins the moment you get hurt. Workers comp claims are subject to very strict rules and deadlines that you must follow in order to receive the full benefits you deserve. Report the injury to your employer: Notify your employer ASAP that you’ve been hurt. Some employers maintain tight deadlines for reporting an accident, and failure to follow internal protocols could result in the company disputing your benefits claim. Complete an incident report as soon as you can. Seek medical attention: When you report a work injury, you need to kindly demand to see a medical professional. Get the care you need from this specified provider only. Going to a doctor of your own choosing could result in denial of your workers’ compensation claim. Give the doctor a good history: The appointment with the doctor is your opportunity to get the type and extent of your injury on record. Tell the doctor all about your symptoms, limitations you’re facing, and actions that exacerbate the injury. A comprehensive medical record that documents your injury is one of the best assets in a workers’ comp claim. When you follow these steps, you enhance the strength of your claim for benefits. Your employer also has responsibilities at this time. Once you tender notice of your injury, the employer must submit a form called the “Employer’s First Notice of Injury” to its worker’s compensation insurer and the Oklahoma Workers’ Compensation Commission. The insurance company will review your employer’s “First Notice of Injury” within 15 to 30 days. The insurer will review your medical records, employee file, workplace incident report, and more to determine your eligibility for benefits. If your claim is approved, your work comp benefits will start to arrive shortly. However, if your claim is denied, your best first step is to contact an experienced workers compensation lawyer to handle your case. Depending on the nature of your injury or condition, you have 1 to 2 years to file your claim into a case. However, this is not nearly as long as it sounds. Worker’s comp hearings can be complicated, and the process is tedious. Making sure that you have an attorney that knows the ropes of the workers’ comp world is extremely important. Throughout the process, your employer’s insurance company will be represented by a lawyer. If you don’t have representation, you are at a serious disadvantage. 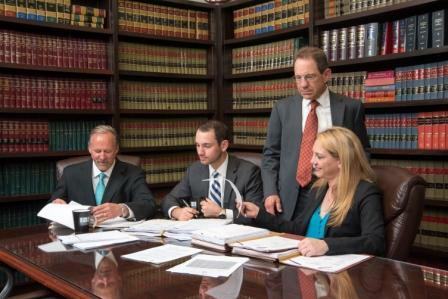 At Johnson & Biscone, P.A., our attorneys know the workers’ comp system. We file the necessary documents on time on your behalf. We represent you in interactions with the insurance company before the hearing; you might not even have to attend these early court dates. And we investigate the circumstances of your workplace injury and gather evidence we can present during the hearing. Our law firm has prevailed on behalf of many workers throughout Oklahoma in workers’ compensation claims. Experience is what sets us apart: For decades, our partners and associates have dedicated significant parts of their practice to work comp and workplace injury cases. Where other law firms dabble, our attorneys focus. Another key component is our integrity. We believe that hiring an attorney is the only way to be treated fairly in worker’s comp matters. When you hire Johnson & Biscone, P.A., we serve your interests and custom-tailor a legal strategy that seeks to maximize your benefits. You deserve full compensation for the injuries you sustain at work. And, if we determine that a third party may be liable for your injuries, our attorneys can also build a personal injury lawsuit on your behalf. 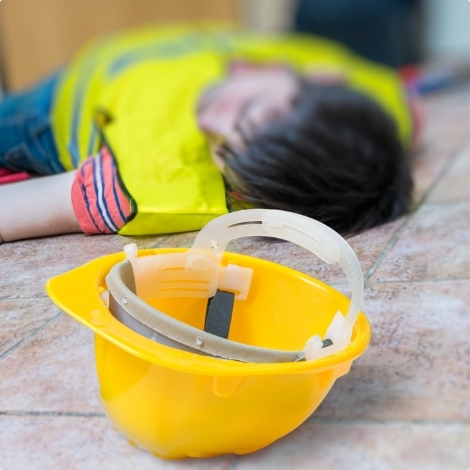 We also hold third parties liable in wrongful death claims if your loved one tragically died in a workplace accident. If you or a family member has been injured at work, you are not alone. The process of getting medical care and then applying for workers’ comp benefits may seem daunting, but our attorneys can help. Call 405-232-6490 for a free, no-obligation review of your case. Johnson & Biscone, P.A. has extensive experience in worker’s compensation law, as well as benefits through Social Security Disability Insurance. We proudly pursue all of the benefits that our clients and their families need, with service available throughout Oklahoma City, Edmond, Norman, and the surrounding areas.